If needed, a relaxation medicine is given to the patient through an IV line. The patient lies face down on an X-ray table. The small area where the injection needs to be given is numbed with an anesthetic. The patient may feel a sting for a few seconds. A small needle is then accurately placed by the doctor into the joint guided by the real time X-ray or ultrasound images. 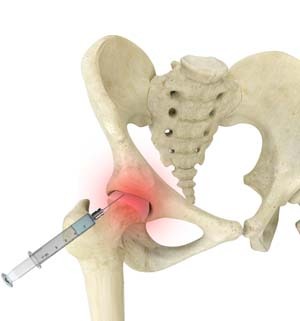 Before injecting the medicine, a contrast dye is injected through this needle into the joint to confirm that the medicine will reach the joint. A combination of anesthetic and anti-inflammatory cortisone is then slowly injected into the joint. The whole procedure usually takes about 30 to 60 minutes.